Ellen Whitman is a professional artist and art instructor who has attained national recognition for her portraits of individuals and oil paintings of wildlife. In a subtle, yet uniquely vibrant style. Ellen's work displays the inner glow of the chosen subjects. The study of light, shadows, life, and sensitivity within and surrounding the forms reveals the soul of the subject for the viewer to behold. Many of her paintings and sculptures are dedicated to the celebration of young life in the human and animal kingdoms. Ellen's approach to painting is to study light within the form through lumination - her portraits, landscapes, still lifes, and wildlife all capture elusive emotions and stir the imagination while demonstrating the power of spirituality in art. In 1977 Ellen established the Barn Art Studio to introduce the creative arts to adults and children and to present new concepts and media to students not previously exposed to the imaginative and creative processes. Ellen offers classes in drawing, oil painting, watercolors and sculpture. Also, demonstration classes and private instruction provided are on subjects such as wildlife, flora, seascapes, landscapes, still life and portraiture. The Studio has stimulated community interest in studio art which has resulted in extensive commissions for portraits of individuals as well as animals and very large murals. These activities make for a successful and profitable business. She also enjoys an excellent professional reputation from her peers. Ellen has participated in the Grand National Exhibition of the Professional Artist's League, Salmagundi Club of New York City since 1986; is an exhibiting member of the North Shore Arts Association of Gloucester, Massachusetts; has won many 'Best of Show' and First and Second prizes and is listed in the Encyclopedia of Living Artists, 1992. Her oil painting, Children of Many Lands, is on permanent exhibit at the Massachusetts State House. This piece, a composition depicting the faces of children representing various ethnic backgrounds, was reproduced in a pamphlet and as 48" by 60" three-dimensional shadowboxes placed in public locations in support of the Massachusetts Foster Child Program since 1984. Ellen has had several one-person shows. One specific show was launched in May 1992 by the Franciscan Retreat Team of the St. Francis Friary of Rye, New Hampshire. The show was designed to stimulate interest in the arts and to demonstrate the power of art to inspire or renew spirituality. 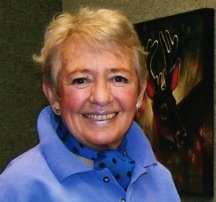 From 1991 through 1994, Ellen's wildlife paintings were chosen for the Discover Wild Art competition and exhibition sponsored by the New Hampshire Fish and Game Department. She also donated her work to the Humane Society of the United States, The New Hampshire Society for the Prevention of Cruelty to Animals and the Cocheco Valley Humane Society to be used for their greeting cards and clothing. Since 1984 Ellen has been invited to donate art to be auctioned to benefit New Hampshire Public Television, Channel 11. Items for the auction are exhibited at the New England Center prior to the auction. Ellen has also exhibited at the Peri-Renneth gallery of South Hampton, New York and the Lowell University Gallery of Lowell, Massachusetts. For more information on Ellen click here. If you have questions for Ellen about her work or to commission a painting, please call or send an email to EllenWhitman@barnartstudio.com.